Pope, Owen (1910-2000) The Popes, Owen and Dolly, were hired by Walt Disney in November 1951 to start putting together some livestock for his future park. They first lived in a trailer at the Studio where they raised and trained the first horses, and helped build wagons and coaches. 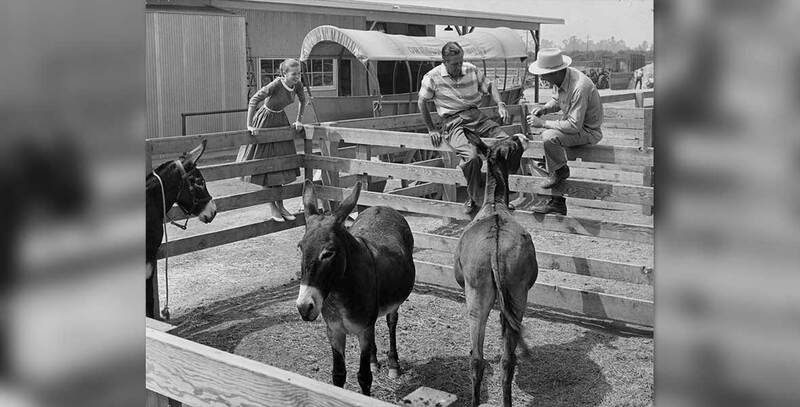 During the construction of Disneyland, Disney gave them their choice of the houses being moved on the property, and they staked out a 10-acre site for the Pony Farm. Three days before the park opened, they moved to Disneyland but had to live in their trailer for awhile until their house was ready. They were Disneyland’s only residents. The Popes continued with the company, running the Disneyland Pony Farm, and then moving to Florida in 1971 to start the Tri Circle D Ranch there. They retired in 1975.